From today, the general sale of Silversea’s groundbreaking Expedition World Cruise 2021 will be open. 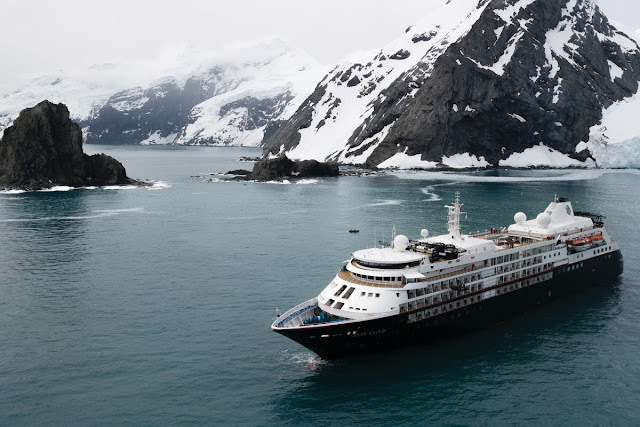 Unlocking an incredible selection of deep travel experiences in 107 of the world’s most amazing destinations, the Expedition World Cruise 2021—or the Uncharted World Tour—has been curated to take guests closer to the authentic beauty of the world in ultimate comfort like never before. Silversea’s Silver Cloud will depart Ushuaia, Argentina, on 30 January 2021. Over 167 days, the world’s most luxurious ice-class crossover ship will unlock unforgettable experiences for guests in 30 countries across six continents, covering a total of 39,000 nautical miles. The Expedition World Cruise 2021 will connect an unprecedented range of immersive travel experiences: in Antarctica, world-cruising guests will explore the frozen continent by Zodiac®, taking to land to witness incredible landscapes and rare wildlife species; in the South Pacific, guests will meet the descendants of the famous Bounty Mutineers in Pitcairn, after spending two days on Easter Island; in French Polynesia, guests will swim with rays in Bora Bora, explore Aitutaki’s lagoon, and discover a typical Samoan village; a traditional land diving ceremony will enrich the call at Pentecost Island; Zodiacs® will enable on-water exploration of Australia’s Kimberley region; guests will witness orangutans in their natural habitat in Malaysia’s Borneo; they will enjoy a behind-the-scenes exploration of Luxor, Egypt, and sail through the iconic Suez Canal, before journeying back in time through the historical highlights of Greece, Albania, Tunisia and Spain; they will visit the ancient monastery of Mont St. Michel, the memorial sites on Normandy’s beaches, and the delights of the United Kingdom; and will conclude by travelling deeper into some of Northern Europe’s most remarkable destinations, including Iceland, Svalbard and Norway’s North Cape. With over 60% of visited destinations accessed by Zodiacs®, the Uncharted World Tour will showcase the very best of the world’s most remote beauty: breathtaking nature, spectacular wildlife, unique encounters, rare cultural insights, and hands-on exploration. Severin—Explorer and Gold Medalist of the Royal Geographical and Scottish Geographical Societies; and Jo Ruxton—Co-Founder of the Plastic Oceans Foundation. While fares for Silver Cloud’s two-bedroom Owner’s Suite cost AU$704,000 per person for the duration of the 167-day voyage, the ship’s vista suites begin from AU$138,000 per person. As part of the voyage’s all-inclusive pricing, world-cruising guests will each receive complimentary expedition gear delivered directly to their suites. The kit will include a commemorative World Cruise Polar exploration parka, a waterproof backpack, and various other items of clothing and accessories. *Available from selected gateways/countries including Australia. Non-use air credit available for other countries.